How to create a new column in GridListControl? 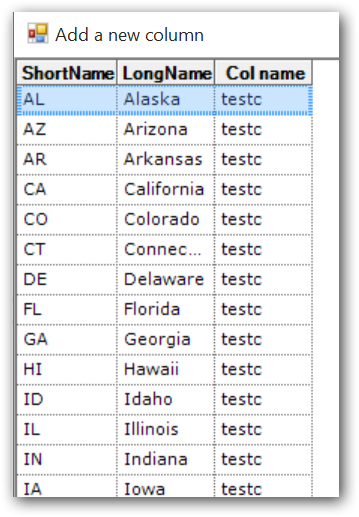 To add a new column into GridListControl, the ‘QueryColCount’ event can be used. `QueryCellInfo` event is used for assigning the cell values for the newly added columns.